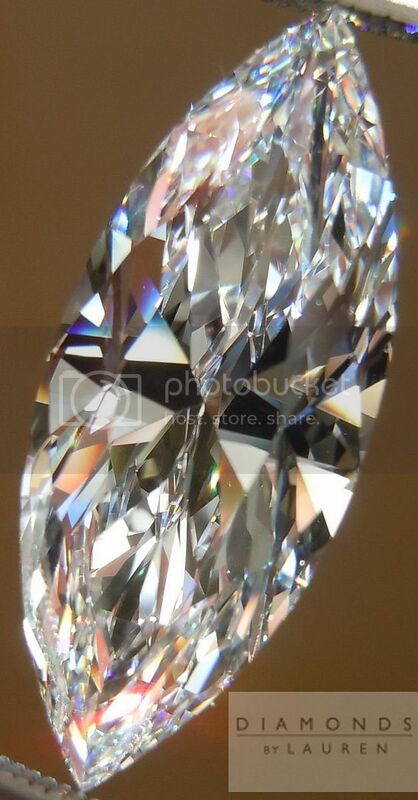 Why are Marquise Diamonds Classic? 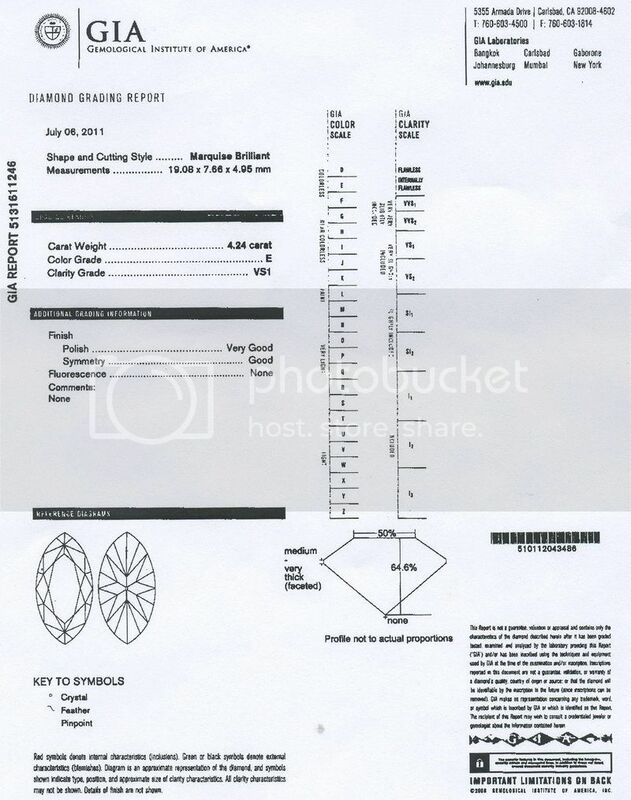 To understand the Marquise Diamond Cut, you'll need to keep in mind how this wonder of nature, nurtured, and shaped by people happens to be on your finger. The diamonds come from the earth in many shapes. Many are more regular shaped- like a blob. 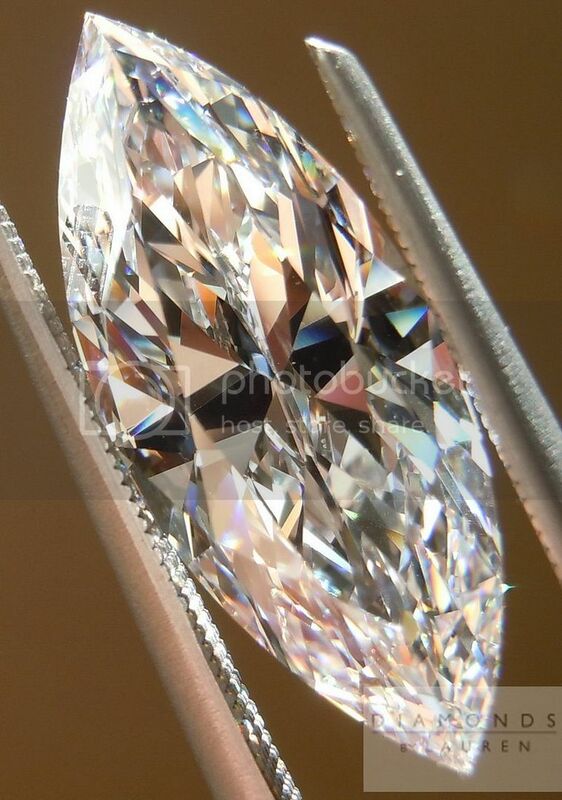 The rough for this diamond was a long sliver. 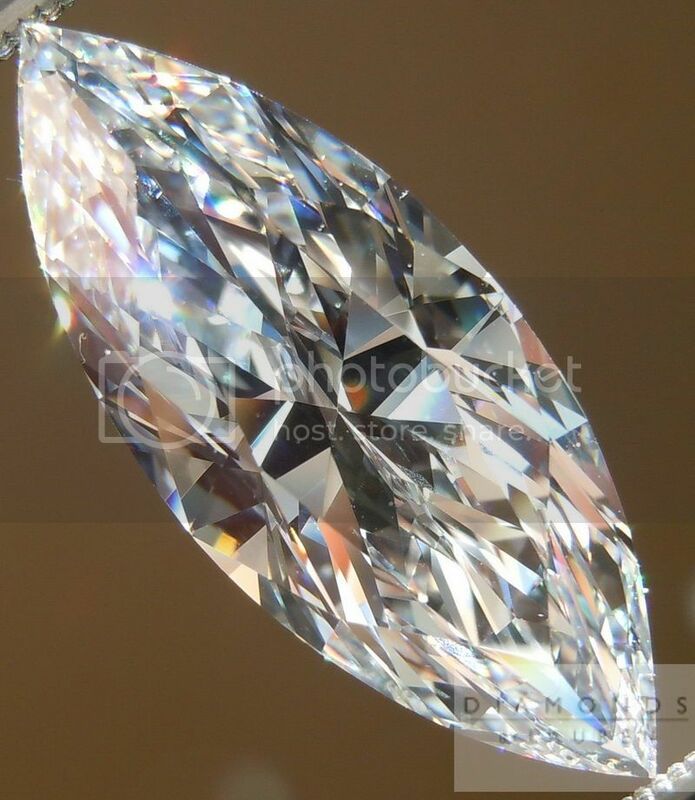 As diamond polishing progressed throught the 20th century, the marquise was developed into the brilliant stone we see here today. There is a phenomenon known as "bow tie" in certain marquise diamonds. 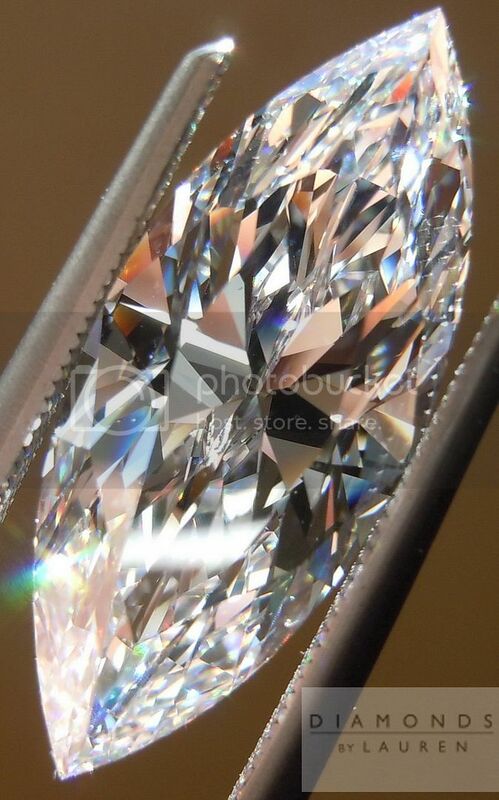 This diamond, cut in the classic fashion- that is to say with faceting very much like a traditional round brilliant, stretched an shaped to fit the outline of the stone. 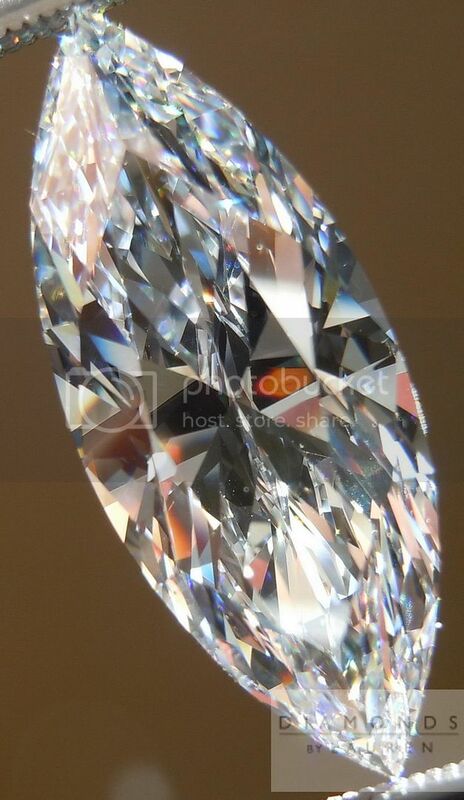 The result is that the facets on the bottom of the diamond directed at the point are much thinner than those directed at the mid section of the stone. The wider facets, and different angle can make the center of certain marquise diamonds look dark in the pattern of a bow tie. As you look at the photos and video of this stone, you'll notice the center area is incredibly lively. 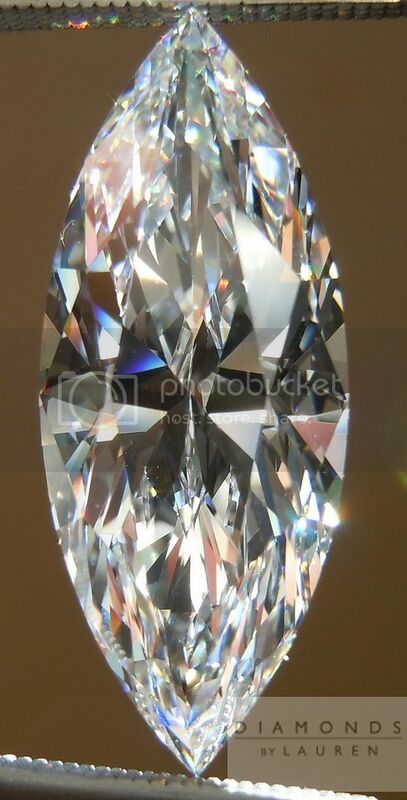 The larger facets act as the smaller ones n that they flash light or dark rapidly (sparkle)- but the flashes are larger in the center of the diamond as compared to the tips. Totally eye clean VS2- incredibly white E color.